The Sally Family Suite has a Tuscan themed double bedroom and Jungle-style twin bedroom, comfortable private lounge and separate dining kitchen with two shower rooms, one with bath. 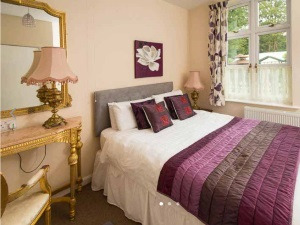 Lots of space for families to unwind, all in one suite, after a hard day at Alton Towers. Sally Suite sometimes limits bookings to 2 or more days.